Aside from Gucci Mane himself, Hoodrich Pablo Juan arguably has the biggest buzz on his name out of the 1017 Eskimo collective. With Mal & Quill, Z-Money, Lil Wop and Asian Doll in the mix, the group keeps getting stronger and Hoodrich has been striving because of it. Of course, Offset needs no introduction at this point. The Migos member has had a tremendous year, welcoming his new daughter Kulture into the world and secretly marrying his wife Cardi B in 2017. One of the best beats of the year happened to be on Cardi's Invasion of Privacy album and people have been taking notice, spinning the track to add their own flavors. Last week, we saw Future, Young Thug and Quavo try their hand at the "Drip" beat, reaching No. 1 on our Top Tracks list with "Upscale." 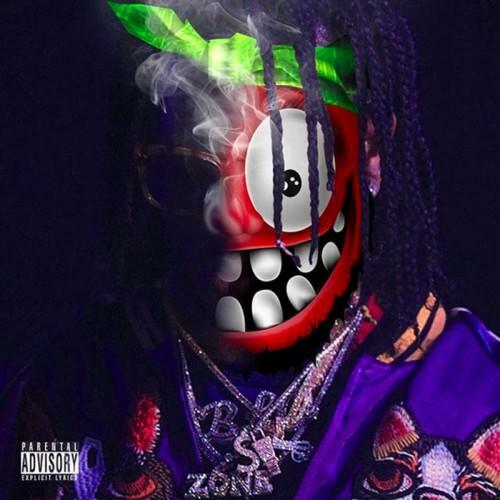 This time, Hoodrich Pablo Juan is taking a swing at the beat, going in during the second half of the track while Offset keeps things consistent during the intro. With Hoodwolf 2 coming soon as the second piece of art Pablo Juan and producer Danny Wolf have put together, this track will likely not be within the tracklisting. Appearing on Worldstar's YouTube page, the official audio surfaced late last night with fans of both 1017 Eskimo and Quality Control glad to hear the official audio.